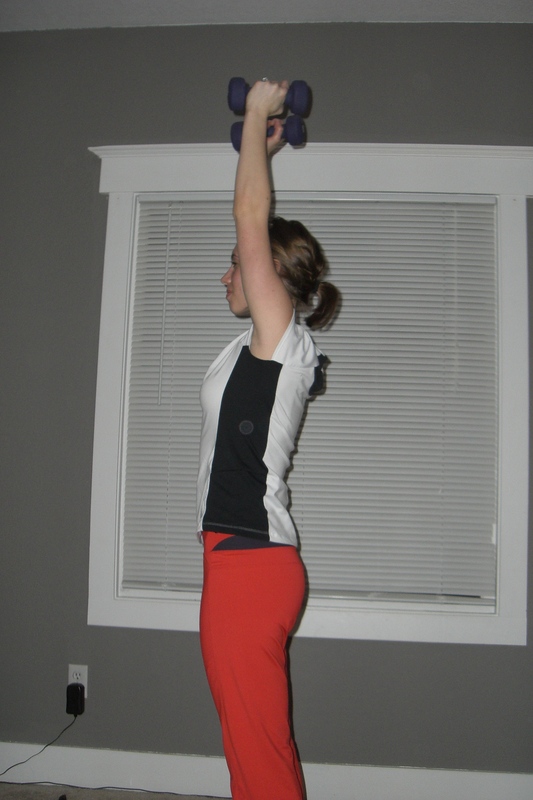 Stand straight with your arms in the air, holding weights (I used 5lb). Your wrists should be facing each other. 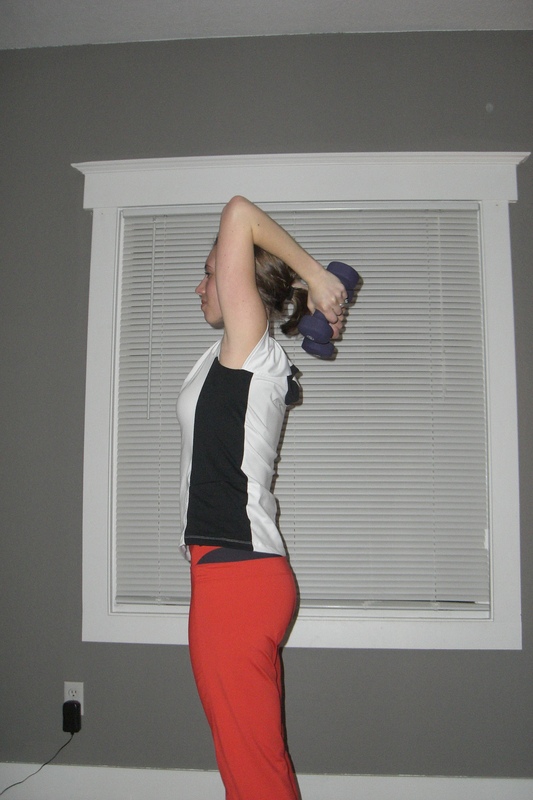 Slowly lower your forearm behind your upper arm. Keep your upper arm stable. 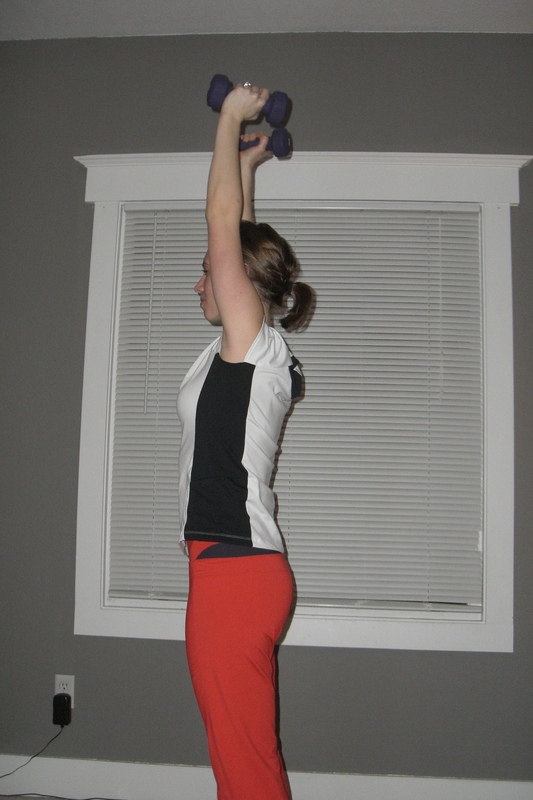 Using your triceps return to the starting position. That’s 1 rep. Complete 3 sets of 12-16 reps, resting for 60 seconds in between each set.